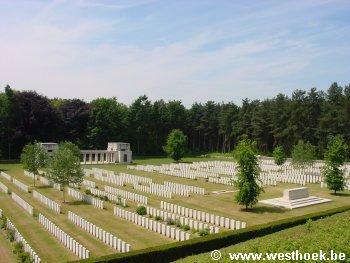 Buttes New British Cemetery is located 8 kilometres east of Ieper town centre on the Lange Dreve, a road leading from the Meenseweg (N8) connecting Ieper to Menen. From Ieper town centre the Meenseweg is located via Torhoutstraat and right onto Basculestraat. Basculestraat ends at a main crossroads, directly over which begins the Meenseweg. 4.7 kilometres along the Meenseweg, after the Bellewaerde theme park, lies the left hand turning onto Oude Kortrijkstraat. 2 kilometres along the Oude Kortrijkstraat the road crosses the A19 motorway. 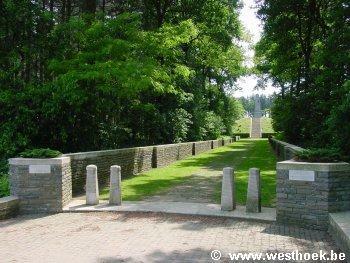 Immediately after this bridge is the left hand turning onto the Lotegatstraat, which borders Polygon Wood. 800 meters along the Lotegatstraat is the right hand turning onto Lange Dreve. 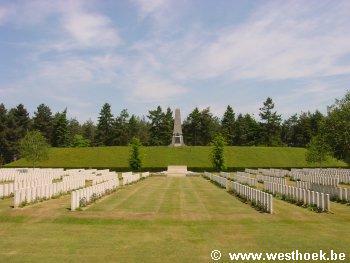 The Cemetery is located 1 kilometre along the Lange Dreve on the right hand side of the road. 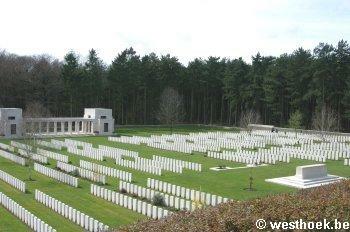 A walled avenue leads from Polygon Wood Cemetery, past the War Cross, to the Buttes New British Cemetery. 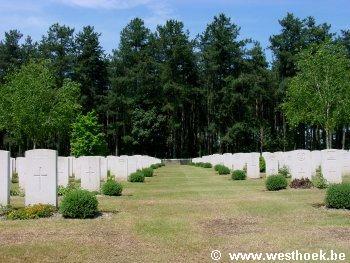 This burial ground was made after the Armistice, by the concentration of a large number of graves (almost all of 1917, but in a few instances of 1914, 1916 and 1918) from the Battlefields of Zonnebeke. 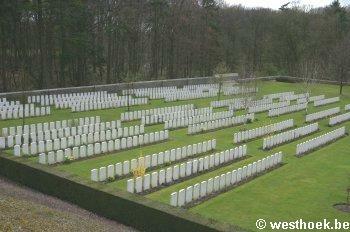 There are 2103, 1914-18 war casualties commemorated in this site. Of these, 1675 are unidentified and special memorials are erected to 23 New Zealand soldiers and 12 from the United Kingdom, known or believed to be buried among them. 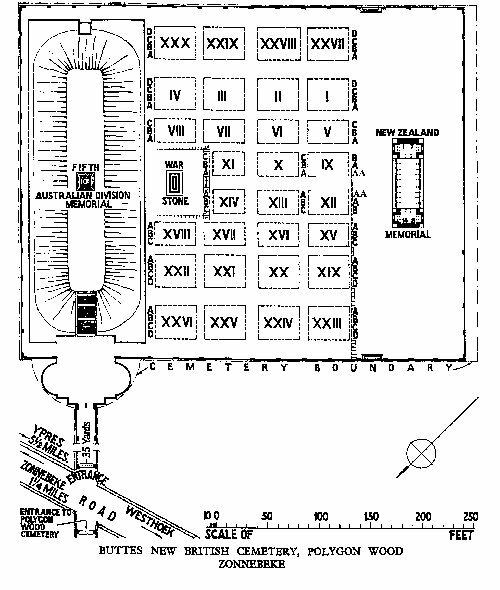 The cemetery contains the Memorial to those officers and men of New Zealand who fell in this area, September, 1917-May, 1918, and whose graves are not known. 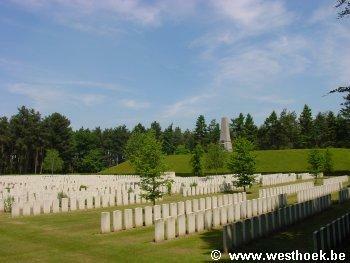 The Cemetery covers an area of 15,145 square metres and is enclosed by a low rubble wall. 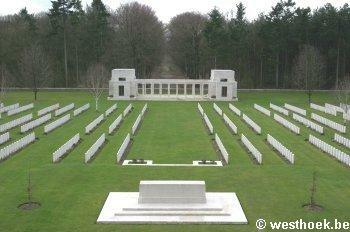 Within this cemetery will also be found the Buttes New British Cemetery (New Zealand) Memorial to the Missing.